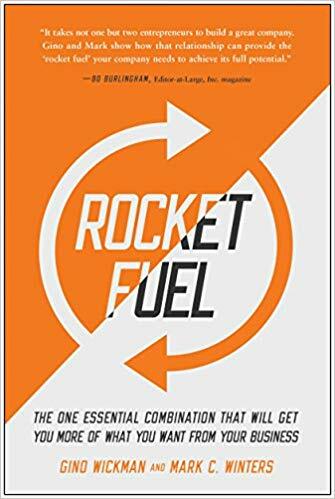 BookYap’s Review: This short book Rocket Fuel is one of the five complement books from a group of authors. It has 7 chapters (with an additional bonus chapter) divided into two parts. The book explained the importance of two type of individuals that, when joining force correctly, can bring an organization performance to the next level: Those two type of individuals are Visionary and Integrator or two parts of Ying and Yang. This book provided a strong argument and evidence explaining the critical roles of two type of individuals. It also offered 20 questions assessments for Visionary and Integrator that you can take to see which type of person you are. The book also shows you how to find the other half (of Ying & Yang) along with the solutions that can make both partners work effectively. Overall, this book is for startups, business founders and top executives to read. As an entrepreneur, I find it very helpful especially after reading the other two of their books: TRACTION and What The Heck is EOS?